The picture shows the seven models that I developed for this book. The book has 72 pages, is fully colored and published by a famous german-swiss publishing house. 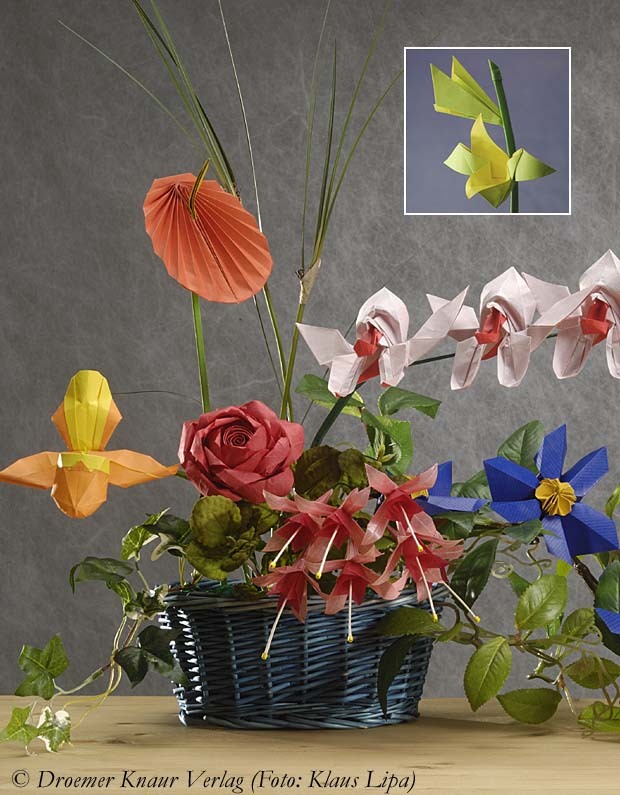 Jens-Helge Dahmen: Blütenzauber mit Origami. Jens-Helge Dahmen: Origami - kwiaty z papieru.